Money back guarantee. Book your log delivery when you buy firewood online. Only low moisture firewood logs for sale. 100% British hardwood logs. Kiln dried logs delivered to Leicestershire. 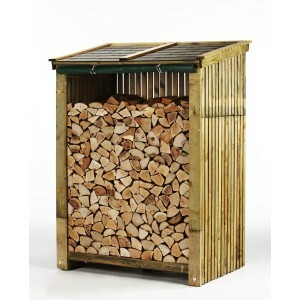 Kiln dried logs available to buy online. 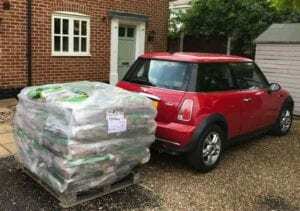 Firewood delivered free to Leicester and Leicestershire. Our logs for sale are ready to burn because they’ve been through a kiln drying process. 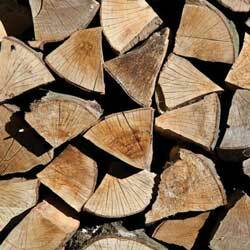 Top tip, buy your firewood in warmer months to benefit from discounts. Here at the Firewood Fund headquarters, we have some of the finest Logs For Sale. 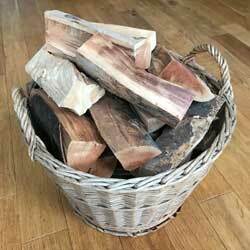 Order today and you can get these outstanding logs delivered right to your doorstep in Leicester or any other location within Leicestershire for that matter – we always aim to go above and beyond expectations. 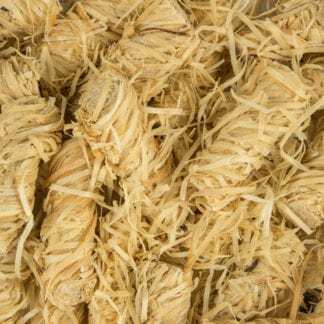 You might be asking yourself – ‘why shop with us for my next batch of kiln dried logs?’ Well, luckily, there are several reasons why! √ Our logs offer a superb, sustainable heat source. √ Our Logs For Sale typically much drier than Seasoned Logs. 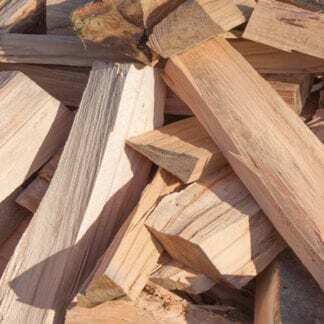 √ Firewood Logs conveniently delivered on a pallet. √ Firewood Logs are a sustainable heat source. √ Buying Logs from us supports the UK’s logging industry. √ Free delivery on Bulk Logs to your address. We know the weather can chill the bones down in Leicestershire, so what are you waiting for? Get in some of the best logs for your log burner. Remember, the best wood for burning = kiln dried logs. Click the menu to view our logs for sale online. Ab Kettleby, Abbots Oak, Acresford, Albert Village, Allexton, Anstey, Appleby Magna, Appleby Parva,Arnesby, Asfordby, Asfordby Hill, Asfordby Valley, Ashby-de-la-Zouch, Ashby-de-la-Zouch Canal,Ashby de la Zouch Castle, Ashby Folville, Ashby Magna, Ashby Parva, Ashby Woulds,Aston Flamville, Atterton and Aylestone. Bagworth, Bardon, Barkby, Barkby Thorpe, Barkestone-le-Vale, Barlestone, Barrow upon Soar, Barsby, Barton in the Beans, Barwell, Battleflat, Battram,Beaumont Leys, Bede Island, Beeby, Belcher’s Bar, Belgrave, Belton, Belvoir, Belvoir Castle, Belvoir Gardens, Bescaby, Billesdon, Bilstone, Birstall, Bittesby,Bitteswell, Blaby, Blackfordby, Blaston, Boothorpe, Botcheston, Bottesford, Boundary, Bradgate Park, Branston, Brascote, Braunstone, Breedon on the Hill,Brentingby, Bringhurst, Brooksby, Broughton Astley, Bruntingthorpe, Buckminster, Bull in Oak, Burbage, Burrough on the Hill, Burton Lazars, Burton on the Wolds,Burton Overy and Bushby. Cadeby, Carlton, Carlton Curlieu, Castle Donington, Catthorpe, Cavendish Bridge, Chadwell, Charley, Chilcote, Church Langton, Clarendon Park,Claybrooke Magna, Claybrooke Parva, Coalville, Cold Newton, Cold Overton, Coleorton, Coleorton Moor, Congerstone, Copt Oak, Cosby, Cossington, Coston,Cotes, Cotesbach, Cotes-de-Val, Coton, Countesthorpe, Cranoe, Croft, Cropston and Cross in Hand. Dadlington, Dane Hills, Desford, Diseworth, Dishley, Donington le Heath, Donisthorpe, Drayton, Drayton-in-the-Clay and Dunton Bassett. Earl Shilton, East Goscote, East Langton, East Norton, Easthorpe, Eastwell, Eaton, Edmondthorpe, Ellistown, Elmesthorpe, Enderby, Evington, Evington Valley,Eye Kettleby and Eyres Monsell. Far Coton, Farm Town, Fenny Drayton, Field Head, Fleckney, Fosse Shopping Park, Foston, Foxton, Foxton Locks, Freeby, Frisby, Frisby on the Wreake,Frog Island and Frolesworth. Gaddesby, Garthorpe, Gaulby, Gelsmoor, Gilmorton, Glen Hills, Glen Parva, Glenfield, Glooston, Goadby, Goadby Marwood, Goodwood, Gopsall, Grace-Dieu,Great Bowden, Great Dalby, Great Easton, Great Glen, Great Stretton, Greenhill, Griffydam, Grimston, Groby, Grove Park and Gumley. Hallaton, Halstead, Hamilton, Harby, Harston, Hathern, Heather, Heathley Park, Hemington, Higham on the Hill, Highfields, Hinckley, Hoby, Holwell, Horninghold,Hose, Hoton, Houghton on the Hill, Hugglescote, Humberstone, Huncote, Hungarton and Husbands Bosworth. Ibstock, Illston, Illston on the Hill, Ingarsby and Isley Walton. Kegworth, Keyham, Keythorpe, Kibworth Beauchamp, Kibworth Harcourt, Kilby, Kilby Bridge, Kimcote, King’s Mills, Kings Norton, Kirby Bellars, Kirby Fields,Kirby Muxloe, Kirkby Mallory, Knaptoft, Knighton, Knipton and Knossington. Langley Priory, Laughton, Launde, Leesthorpe, Leicester, Leicester Castle, Leicester Forest East, Leicester Forest West, Leire, Lindley, Little Bowden, Little Dalby, Little Orton, Little Stretton, Little Twycross, Littlethorpe, Lockington, Loddington, Long Clawson, Long Whatton, Loughborough, Lount, Lowesby, Lubenham and Lutterworth. Magna Park, Marefield, Market Bosworth, Market Harborough, Markfield, Measham, Medbourne, Melton Mowbray, Misterton, Moira, Mountsorrel, Mowmacre Hill, Mowsley and Muston. Nailstone, Nanpantan, Narborough, Nether Broughton, Nevill Holt, Newbold, Harborough, Newbold, North West Leicestershire, Newbold Verdon, Newton Burgoland, Newton Harcourt, Newtown Linford, Newtown Unthank, Normanton, Normanton le Heath, Norris Hill, North Evington, North Kilworth, Norton juxta Twycross and Noseley. Oadby, Oakthorpe, Odstone, Old Dalby, Orton on the Hill, Osbaston, Osbaston Hollow, Osgathorpe and Owston. Packington, Peatling Magna, Peatling Parva, Peckleton, Pickwell, Pinwall, Plungar, Potters Marston, Prestwold, Primethorpe and Packingshire. Ragdale, Ratby, Ratcliffe Culey, Ratcliffe on the Wreake, Ravenstone, Rearsby, Redmile, River Soar, Rolleston, Rotherby and Rothley. Saddington, Saltby, Sapcote, Saxby, Saxelby, Scalford, Scraptoft, Seagrave, Sewstern, Shackerstone, Shangton, Sharnford, Shawell, Shearsby, Sheepy Magna,Sheepy Parva, Shenton, Shepshed, Shoby, Sibson, Sileby, Six Hills, Skeffington, Sketchley, Slawston, Smeeton Westerby, Smockington, Snarestone, Snibston,Soar Valley, Somerby, South Croxton, South Kilworth, South Knighton, South Wigston, Sproxton, Stanford Hall, Stanton under Bardon and Stapleford. Theddingworth, Thornton, Thorpe Acre, Thorpe Arnold, Thorpe Astley, Thorpe Langton, Thorpe Satchville, Thringstone, Thrussington, Thurcaston, Thurlaston,Thurmaston, Thurnby, Tilton on the Hill, Tonge, Tugby, Tur Langton, Twycross and Twyford. Ullesthorpe, Ulverscroft, Upper Bruntingthorpe and Upton. Walcote, Waltham on the Wolds, Walton, Walton on the Wolds, Wanlip, Wartnaby, Welham, Wellsborough, Whatborough, Whetstone, Whitwick, Wigston, Wigston Fields, Wigston Parva, Willoughby Waterleys, Wilson, Wistow, Withcote, Witherley, Woodhouse, Woodhouse Eaves, Woodthorpe, Worthington, Wycomb,Wyfordby, Wykin, Wymeswold and Wymondham, Leicestershire.